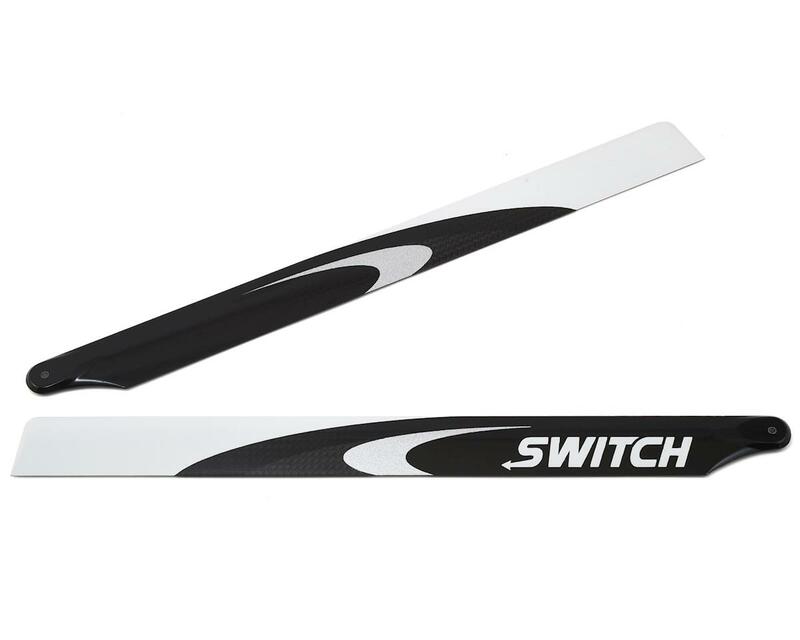 This is a pair of Switch 283mm Flybarless Premium Carbon Fiber Rotor Blades. Switch Rotorblades are based on a well proven NACA airfoil which has been subjected to extensive testing and development. The blades employ no gimmicks or tricks; they are high performance rotor blades with the stability and agility required for today’s most demanding pilots. They perform exceptionally well for all flight styles including 3D, sport and speed pilots alike, all while being reasonably priced. Switch Rotorblades are manufactured by Fun-Key Aeroplane Models in Hong Kong, the leading manufacturer of carbon fiber rotor blades for R/C helicopters. Switch Rotorblade sets are specifically matched and go through the most strict quality control guidelines. Easing the minds of their customers, Switch makes safety one of their top priorities. Go ahead and fly them as hard as you like - they will take whatever you can dish out. The Switch Rotorblade gel coat was designed to flow beautifully with any RC Heli paint scheme while remaing highly visable in the sky. "I am very impressed with how responsive Switch Blades are, and how much more “pop” they have, even at lower head speeds! They tracked perfectly right out of the package – just bolt on and fly. I also love the aesthetics: Two-tone carbon weave, with white & metallic silver accents making the rotor disc very visible in flight. Switch blades will most definitely be on all of my helis!" "The #1 blades for every style! Switch blades cater to almost every flying style or aspect of 3D, so they’re the best all-around blade in my opinion. And they track fantastically in 3D!" 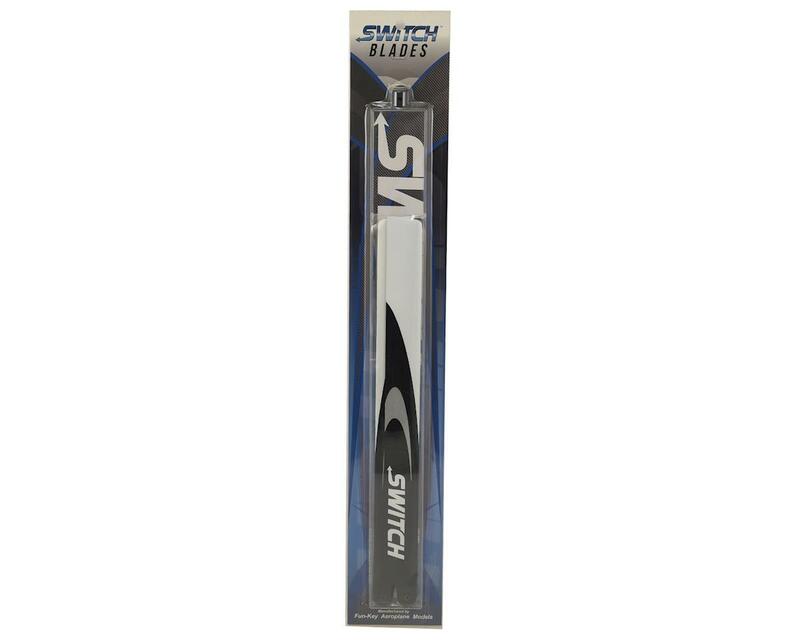 "Switch blades gives me the performance and the agility I need. They’re crisp off center for 3D, yet stable and precise for high speed flight." "Switch Rotorblades are very stable blades, yet very fluid and predictable in aggressive 3D maneuvers. I truly enjoy flying them."